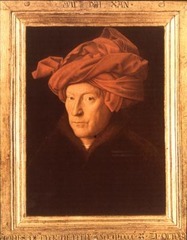 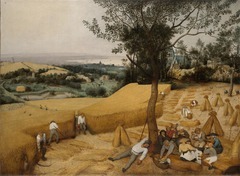 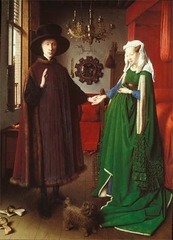 – Flemish painters popularized the use of oil paints on wooden panels. 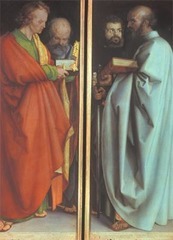 By superimposing translucent glazes, they created richer colors than possible using tempera or fresco. 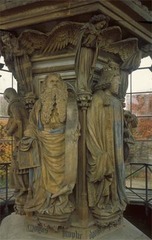 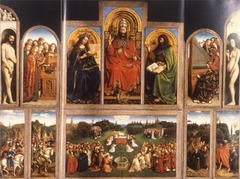 – A major art form in churches and private homes alike was the altarpiece with folding wings. 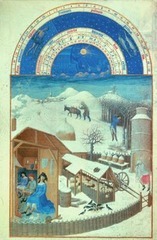 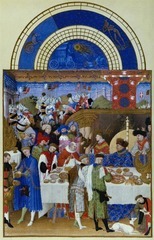 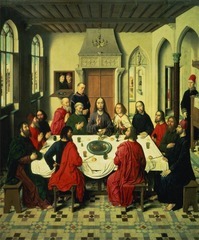 Campin’s Merode Altarpiece is an early example painted in oil, in which the Annunciation take place in a Flemish home. 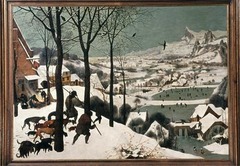 Typical of Northern Ren painting, the everyday objects depicted often have symbolic significance. 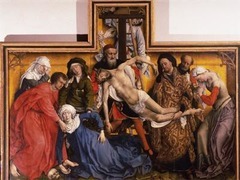 – Deposition resembles a relief carving in which the biblical figures act out a drama of passionate sorrow as if on a shallow theatrical stage. 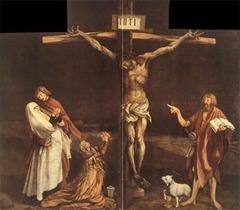 – As a result, Protestant churches were relatively bare, but art, especially prints, still played a role in Protestantism. 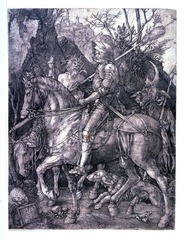 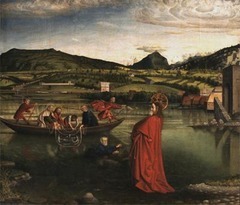 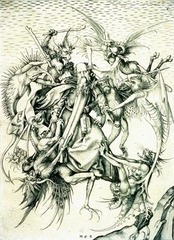 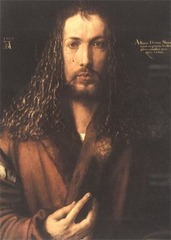 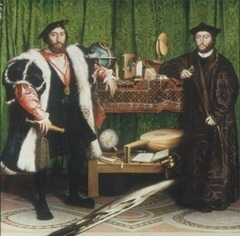 – Albrecht Durer was the first Northern European artist to become an international celebrity. 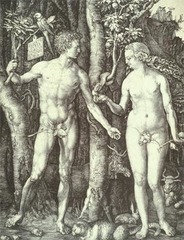 Fall of Man, with two figures based on ancient statues, reflects his studies of the Vitruvian theory of human proportions.